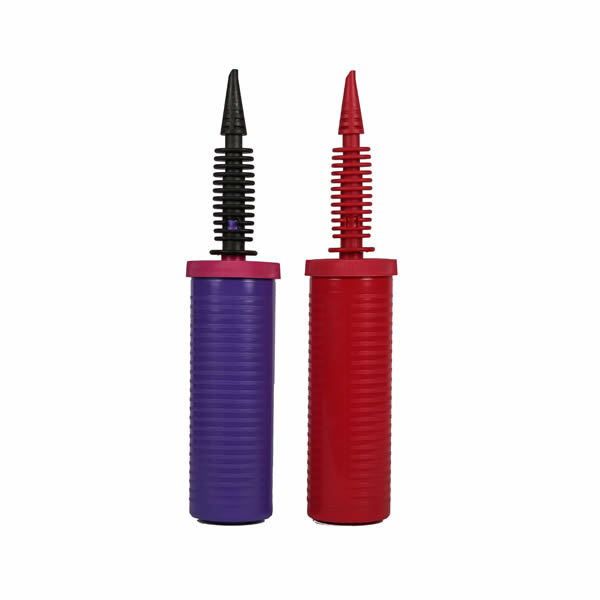 A double action balloon hand pump is easy and convenient, because you can carry it with you all the time. Hand held balloon pumps are small and light enough to slide right into an apron pocket, or even the deep pockets of your oversized trousers. Whenever you need to inflate a balloon, an inexpensive manual balloon pump can be at hand for helping you entertain crowds with balloon animals and other balloon sculptures. There are many kinds of balloon inflators, but a lightweight hand balloon pump goes everywhere, and helps you be ready to perform when the time comes.